Hello! I have a different kind of post for you today. This is my continuation from yesterday's post. 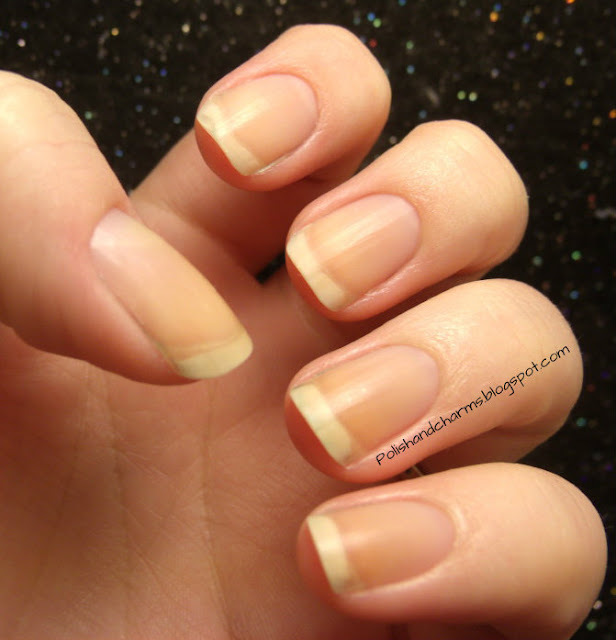 I can't believe I am showing you my naked nails! These are my stained nails after taking off Sinful Colors Last Chance. Now I know this may not seem too horrible, but in real life it looked like I had colored my nails with a high lighter. Just ew. So to help with the staining I used Bubble White. You can buy this at Sally Beauty Supply and it's pretty cheap. I can't remember what I paid, but it wasn't any more than 2 dollars. You can see in the after pictures that it really helped to take out some of that yellow. I really recommend this stuff! 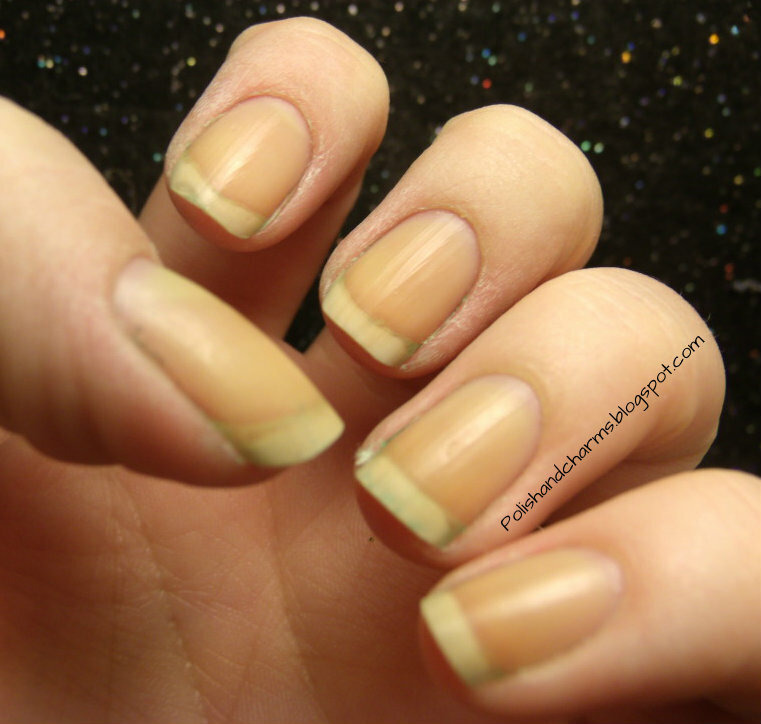 Just mix it with a little water and soak your nails for 5 minutes! Wow. 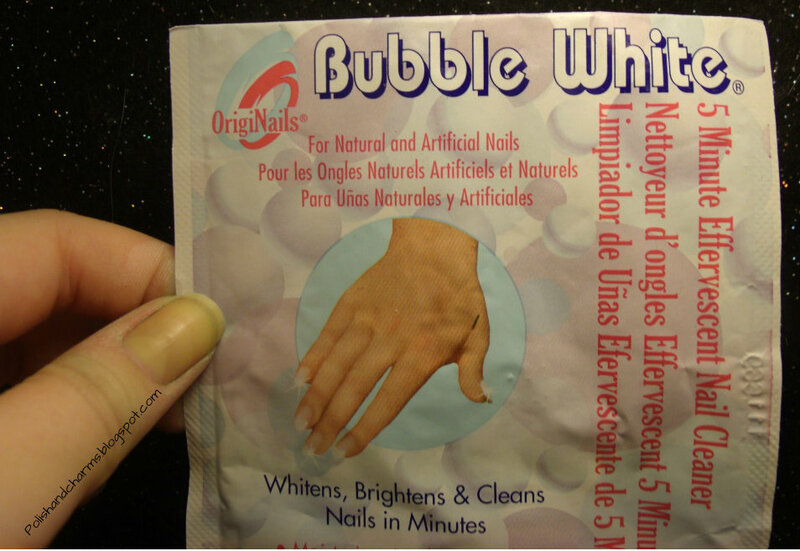 I know what to buy now to whiten my nails! Thanks for sharing Meredith! Woooha - that really worked - thanks for sharing! Oh my goodness. I should definitely pick this up! My naked nails are even nastier than yours so this would help tremendously! Amazing!! I'll have to check this stuff out! Yes you do! It's awesome! I hate it too! This stuff works great! Me too! I should do that next time! I love how soft my hands feel after I use it! I doubt that! You should try it though! Great whitener! I tried denture soaking tablets and they work pretty well, too! oh wow! Never thought this stuff actually worked! I will have to try that too! I hate staining too! It's so frustrating!